SAP S/4 HANA is SAP’s next-generation enterprise resource planning (ERP) software suite built around HANA, its proprietary, in-memory, columnar database. Where previous generations of databases handled real-time tasks like processing orders in an online transaction processing system (OLTP) and more complex tasks on a different online analytic processing (OLAP) system, HANA merges OLTP and OLAP in an architecture that shrinks the data footprint and enables businesses to access data real-time, since it runs reporting on the same structure that is processing transactions. Before HANA, SAP didn’t have its own database. Its customers would run SAP ECC (ERP Central Component) — the previous generation of applications — on a third-party database, such as Oracle or SQL Server. Because of its simplified architecture, SAP HANA can potentially save an organization 37 percent across hardware, software, and labor costs. Early implementation of S/4HANA showed that users experienced a 15 percent to 20 percent improvement in employee productivity; sourcing savings of 10 percent to 15 percent; a 5 percent to 6 percent reduction in accounts payable errors; a 5 percent to 10 percent improvement in supplier compliance; and a 10 percent to 15 percent improvement in procurement savings. In addition, real-time inventory processing and visibility can cut short order lead times by 20 percent and reduce the number of days in inventory by 9 percent. The S/4 HANA Business Suite features ECC running on a HANA database, with a dramatic speed boost, improved reporting and a much better workflow through SAP’s Fiori UX interface. While running the same ECC applications on the new, faster database might require some changes, companies can do so without having to make any major strategic decisions—and still get a better return on investment. Implementing the S/4HANA modules, on the other hand, entails replacing existing ECC applications with different programs. SAP S/4HANA modules are the individual components of S/4HANA that provide functionality in various business segments. S/4 HANA modules are not mere copies of ECC programs, but the ECC 6.0 applications built from the ground up to improve performance, standardize deployments and add new functionality. Some companies may not want to implement S/4HANA modules right away and instead realize some S/4HANA Business Suite functionality quickly, or control costs, minimize disruption or maximize existing investments. On the other hand, S/4HANA Modules fully harness the increased power of the database to meet various complex industry use cases. Available on-premise or in a private cloud environment, S/4HANA offers enhanced efficiency and performance through a simplified database structure and a personalized, consumer-grade user experience that can help drive instant value across all lines of business. Digitize their finance processes. S/4HANA helps businesses understand financial performance in real time to improve the effectiveness of finance processes – from planning and analysis to period end close and treasury management. Specifically, SAP’s new ERP software will help companies enhance financial planning and analysis, simplify accounting and financial close processes, improve treasury and financial risk processes, support collaborative finance operations, and manage enterprise risk and compliance more effectively. Take control of their supply chain. S/4HANA provides increased visibility across a company’s digital supply chain and uses machine learning technology for logistics, manufacturing and asset management to improve business agility. This will enable them to integrate inventory and logistics processes, improve production planning, support complex assembly processes, accelerate manufacturing workflows, enable efficient maintenance management, and enhance quality management. Stay ahead of their procurement needs. Businesses can use intelligent applications with machine learning to improve supplier management, streamline purchasing, and deploy collaborative sourcing and contract management. With S/4HANA, companies can gain in-depth purchasing insights, streamline operational purchasing, automate sourcing and contract management processes, gain an in-depth view of their supply chain, simplify procurement processes, and manage commodity procurement effectively. Manage product lifecycles more effectively. Companies can develop a fully-aligned product portfolio that allows them to manage lifecycles, control production costs, and deploy resources effectively from across their organization and beyond. In addition, S/4HANA can help improve project control and product development, manage enterprise projects effectively, streamline product lifecycle management, and speed up engineering processes. Achieve insights across their business. S/4HANA provides companies with a complete picture of their operations and uses customer insights to help marketing, sales, and service teams work more productively, grow revenue and accelerate opportunities. This enables them to integrate order and contract management, improve sales performance management, and streamline core HR and payroll processes. Develop industry-specific functionality. Companies can customize their core system to meet the specific needs of their organization without the typical challenges of integration and custom coding. 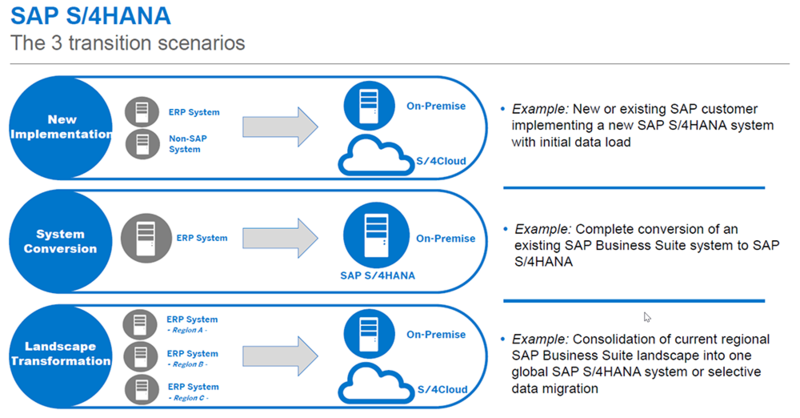 There are two editions of S/4HANA: On-Premises and Cloud. 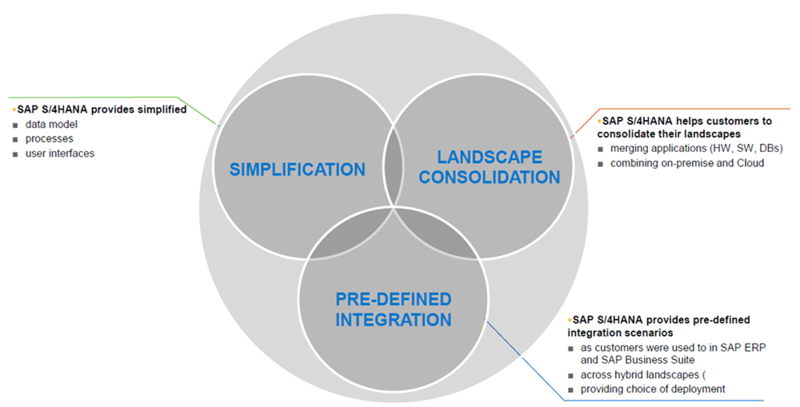 SAP S/4HANA On-Premises is similar in terms of coverage, functionality, industry-specific support, and localization to the SAP Business Suite. This edition is available for on premises deployment and as a hosted offering through SAP and its partners. SAP also offers SAP S/4HANA Cloud, which consists of functionality for finance, accounting, controlling, procurement, sales, manufacturing, plant maintenance, project system, and product lifecycle management. Companies can configure SAP S/4HANA to meet their individual business needs with capabilities for every line of business as well as industry-specific functionality. With on-premise and private cloud environments, they can deploy a solution that suits their specific requirements. Companies that are interested in the benefits of S/4HANA can get in touch with FastTrack to learn more about its core features and go through a demo that shows it in action so they can assess its critical features, pricing and the system’s ease of use. FastTrack, the first SAP Platinum Partner, provides implementation and consulting services to the Philippine and international market sharing best practices and improving businesses worldwide.